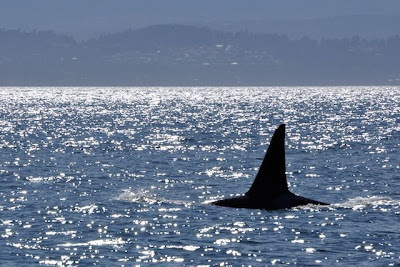 Yesterday and today I've seen orcas heading south past Lime Kiln in the mid-afternoon, which means the whales have been very backlit and hard to identify. Not that I'm complaining! For a while they were on a circuit that had them passing the westside of the island in the early mornings when I was at work, so I'm very glad to have seen them for two days in a row after many missed sightings. 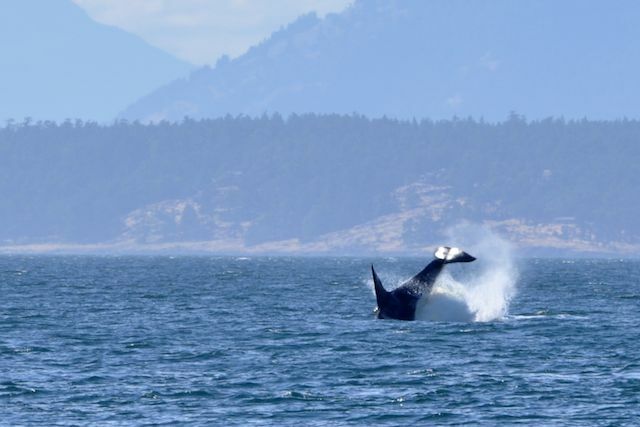 Check out the close encounter these folks got. 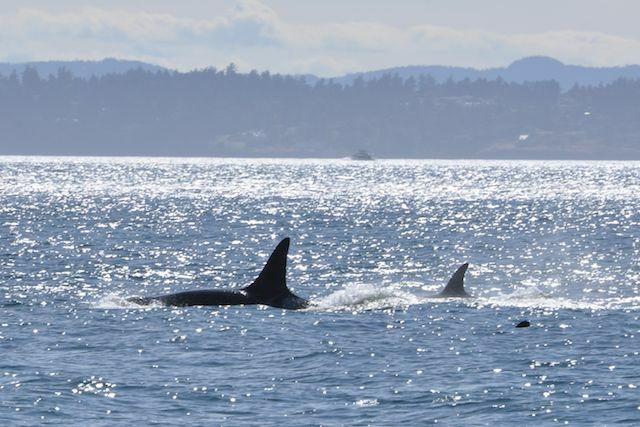 I'm pretty sure that's J37 Hy'shqa who came up right beside them. 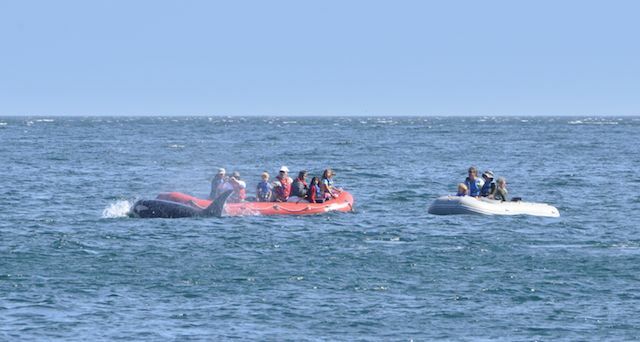 They were NOT following federal regulations and parked in the path of the whales. 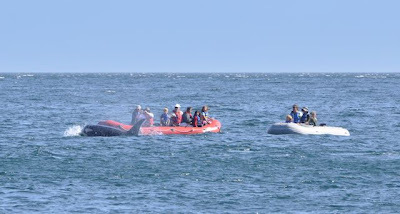 Not to mention it didn't seem like a particularly good idea to be out there in a boat like that with that many children in what were pretty big swells. I also got a quick glimpse of K27 Deadhead, who just this week had a brand new calf, designated K44. It's amazing how tiny newborn killer whales look next to their 20+ feet mamas! Unfortunately my only picture of him (he was pushed by Deadhead upside down near a research boat on the day he was first seen, leading to them being able to determine he was a boy) turned out blurry, so I'll have to wait for another opportunity to share a photo of him. On both days the initial rumors were that it was a superpod heading south towards San Juan Island, but on Friday it was Js and Ks and on Saturday just Ks. 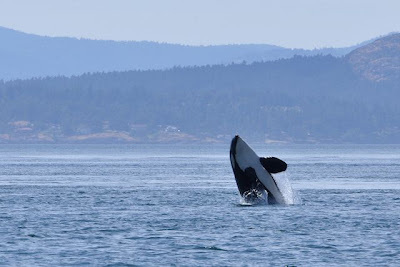 I think it's pretty cool that even during the height of summer with so many people on shore and on the water watching these whales in inland waters that it's hard to keep track of them all. 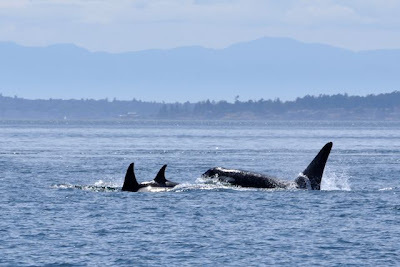 L-Pod clearly must have broken off at some point, and maybe Js did the same today and looped around back north to the Fraser River instead of coming south to San Juan Island. 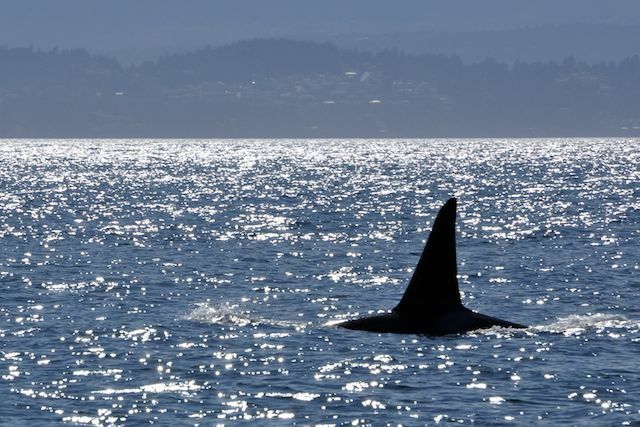 Maybe the whale reports collected by Orca Network will shed some light on it, or perhaps we'll just never know.